#1 Choosing bright accent colors like pink and yellow, totally brighten up that room and add a girlish flair! #2 What tot could resist a chalkboard wall? 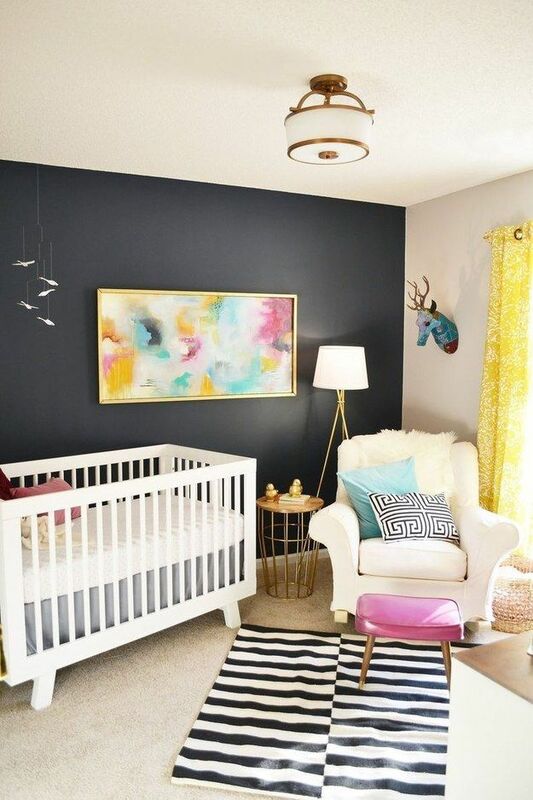 Such a creative idea that will help the room transition easily from a baby space to a kid space. #3 Like pink and yellow, a bright aqua will lighten the atmosphere of the room and I love having unique furniture to make a statement with. I think my top favorite, is not having black as the main color, but rather as an accent instead. It gives a modern feel to softer pastel colors. For me, it’s not just about the color black, but the fun, bold prints you can use as accents for this room. Not to mention, baby’s eyes are drawn to contrast, so it will give you little one something stimulating to look at for those first couple of months!